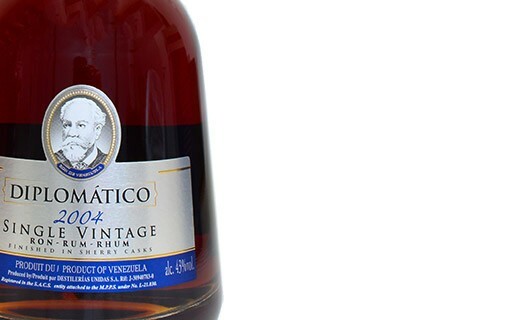 This Rum Diplomatico Single Vintage 2004 only comes from the harvest of this particular year. The rums are distilled in copper stills. Then they are aged in burbon and Single malt barrels for about 12 years. The cellar master blends them together in order to obtain an exceptional rum, allying body, structure and temper. The result is flavorful rum with multiple aromas. He then lets them age in old sherry barrels to create the final touch. All this process gives a superb rum. The rum Diplomatico Single Vintage 2001 is amber colored, with golden tones. Its scent is gourmet, with touches of leather, almonds and dried fruits. Once in your mouth, tobacco leaf, spcies, vanilla and caramel aromas will delight you. The final touch is very lengthy, with a hint of spices. In fifty years, the site of La Miel has developed a remarkable expertise in the assembly of rums. Therefore, the Diplomatico distillery has seven pot stills, from which four are columns and three continuous pot stills. They all are fed with molasses of the highest grade.